For:Use to pinpoint worn or defective bearing; locate cylinders with engine knocks; and determine if any fuel injectors are hung-up or inoperative. Package Includes:1 x Auto Mechanics Stethoscope. Fit:Use to pinpoint worn or defective bearing; locate cylinders with engine knocks; and determine if any fuel injectors are hung-up or inoperative. 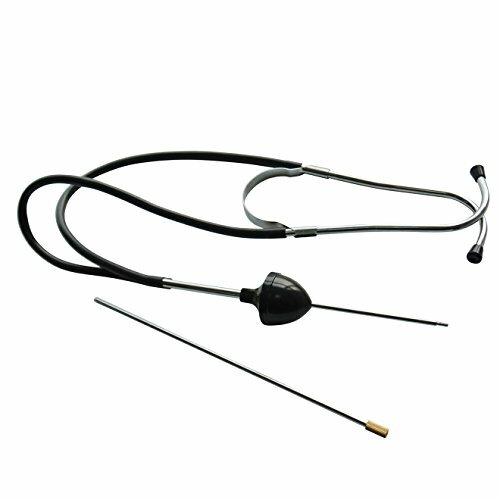 package include:1 x Auto Mechanics Stethoscope. If you have any questions about this product by JL JIANGLI LEGEND, contact us by completing and submitting the form below. If you are looking for a specif part number, please include it with your message.